As with the Alcatel IDOL 4 Pro (now sorted out), official provisioning for the Wileyfox Pro for the Fall Creators Update (Windows 10 Mobile branch 1709) had been delayed, probably for similar reasons*. Happily, the provisioning database has now been patched, to allow owners of the new Wileyfox Pro to update over the air to FCU and thus enjoy the full support period promised by Wileyfox to businesses. As shown below, Wileyfox promotes this as a 'Business to Business (B2B) Enterprise Device', with support to 'December 2019'. 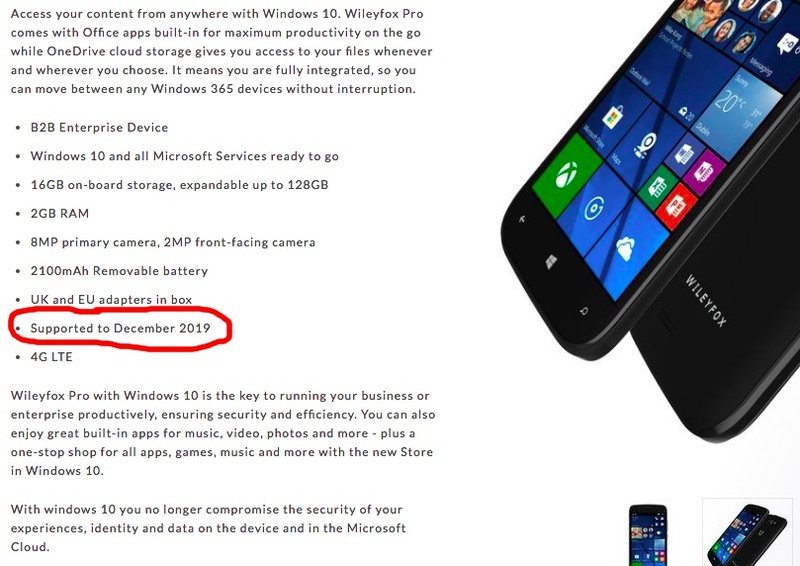 And anyone following my various platform charts on AAWP will realise that the end of 2019 corresponds to the support timescale for Fall Creators Update (FCU), making it somewhat unfortunate that the Wileyfox Pro's provisioning has been held back until now. Of course, it matters not a jot in terms of urgency in the real world, since any employees handed this for company use (see my commentary elsewhere in the Wileyfox Pro review) won't be impacted at all by being on Creators Update (CU) instead. But the relevant IT managers will be comforted, at least. As will AAWP, restoring order to our tables and charts! PS. 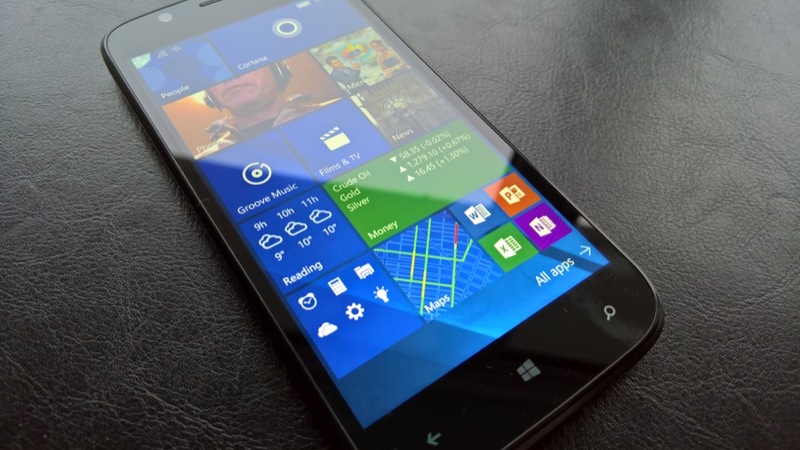 Along similar lines, the official Windows Device Recovery Tool now offers new firmware for the Wileyfox Pro, 1078.42.88.119, containing 'configuration improvements' for EE, Vodafone and Open Market end users in Europe. Though if you have a Wileyfox Pro and it's working fine on your network, there's no reason to wipe and grab this firmware the hard way.